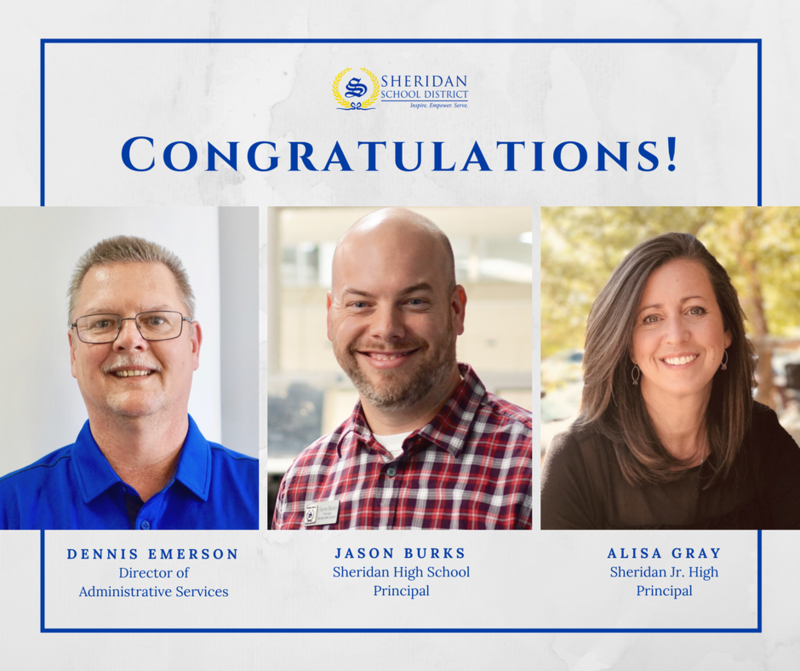 Sheridan School District is pleased to announce the new director of administrative services, high school principal and junior high principal for the 2018-19 school year. Dennis Emerson will be the new director of administrative services. He is replacing Mickey Siler, who will be retiring this school year after 9 years with the Sheridan School District and 42 total years in education. Emerson has twenty-eight years of experience in education with six of those years serving as the high school principal for the Poyen School District. An active member of the community, Emerson is the founder and current member of the Grant County Youth Board, as well as a member of the Grant County Chamber of Commerce Executive Board. Jason Burks, the current SJHS principal, will replace Rodney Williams as the SHS Principal. Principal Williams will retire June 30 after nine years at the Sheridan School District and 38 total years in education. Burks has served the Sheridan School District for eight years as an administrator. Before moving to Sheridan, he taught Career and Technical Education for several years. Burks actively participates in Arkansas Leadership Academy, Student Voice and Master Principal. Alisa Gray, the current SJHS assistant principal, will be promoted to SJHS principal next school year. She is replacing Jason Burks who has been hired as the new high school principal. Gray has been with the Sheridan School District for twenty-four years. She has served in many leadership capacities including instructional coach, Cognitively Guided Instruction trainer and dean of students prior to serving in her current role as SJHS assistant principal.